Ander Herrera has credited Ole Gunnar Solskjaer’s man management skills and rapport with the squad for Manchester United’s change in fortune in recent weeks. The Red Devils resurgence since the exit of Jose Mourinho has brought back belief and joy to the club with the club currently mounting a late push for a top four position. Solskjaer has masterminded an eight-game winning streak with one draw following his arrival in December. And with the likes of Paul Pogba, Marcus Rashford and Anthony Martial all enjoying a good run of form since he took charge at Old Trafford, Ander Herrera has opened up on what he believes is the key behind the success story ahead of Sunday’s Premier League trip to Leicester City. “Ole had that click with some players that they are performing at their best,” Herrera told ESPN FC. 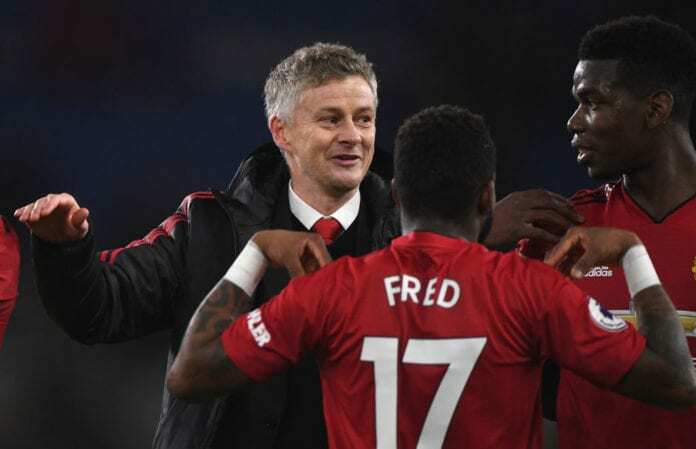 “He is getting the best from Rashford, he is getting the best from Paul, he is getting the best from Anthony, from Jesse. That’s not easy. Herrera, 29, has equally benefited from Solskjaer’s appointment saying: “I have been told a lot of times ‘you should wear the armband in the future’ but I don’t need it.